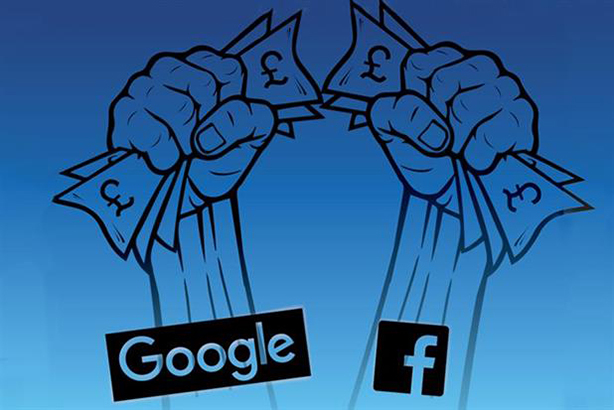 A group of senior peers has called on the UK competition watchdog to investigate whether Facebook and Google's dominance means the digital advertising market is working fairly for businesses and consumers. Lords are worried digital ad market is "notoriously murky"
In its report, UK advertising in a digital age, published today, the House of Lords Communications Committee said: "Consumers do not pay for free online services, but in exchange they must give up their data. The findings come after senior figures from across the industry gave evidence to the group of peers, including culture minister Matt Hancock, WPP founder and chief executive Sir Martin Sorrell, as well as representatives from Google and Facebook. Phil Smith, director general of ISBA, told the committee that advertisers feel Facebook and Google's dominance has reduced the amount of choice they have within digital media. He also expressed concern that this situation will affect consumers. "There is something around the way in which the platforms have struck their relationship with consumers when they go advertising-free first and then introduce advertising over time, where the contract is not quite as transparent as it has been in other media," Smith said. The CMA has previously declined to conduct a market study in this area as they "had not found any detriment to consumers on preliminary consideration," and because its ability to conduct such a study was limited by its lack of resources, the report explained. The committee urged the Government to ensure that the CMA has the resources to take on the burden of cases that would otherwise be dealt with by the European Commission, post-Brexit. Lord Gilbert, chairman of the committee, said: "Digital advertising has quickly become the most significant form of advertising by spending. But the market for delivering digital advertising to consumers is notoriously ‘murky’: businesses which buy advertising services don’t know how their money is being spent, whether their advertising is being displayed next to content which is obscene or which supports terrorism, or whether their ads are being viewed by a human being at all." He added that to restore the public’s trust in advertising as a whole, the industry must commit to adhering to proper standards. Commenting on the report's recommendations, Stephen Woodford, chief executive of the Advertising Association, said: "Across the industry many organisations and trade bodies are working to ensure it continues to be a sustainable, competitive and trusted industry. The AA’s Trust in Advertising working group, chaired by Phil Smith, and [IPA director] Paul Bainsfair, and involving senior figures from across our industry, will lead the way in ensuring our industry is on the front foot in meeting these challenges." The committee found that the UK's advertising industry is a success story which added £120bn to the UK’s economy and supported over 1 million jobs in 2016, but is reliant on a constant influx of international talent. The Advertising Association conducted a survey, cited in the committee's report, of 132 advertising companies in 2017 which demonstrated the extent of integration of international talent in the UK advertising industry. The survey revealed 69% of companies employed staff from outside of the UK. On average, 17% of an agency’s workforce was made up of EU nationals while 10% were from the rest of the world. Many industry witnesses were concerned that the extension of the UK visa system to EU nationals would be detrimental to the advertising industry. Leo Rayman, chief executive of Grey London, told the committee that such an extension would "slow down our ability to win business, convert it and make it work". James Murphy, group chief executive of Adam & Eve/DDB, argued that the free movement of people meant that there are EU citizens with the right skills based in the UK and "we do not have to go to their countries to hire them specifically for a job. They are here." As the industry's global success relies on an international workforce and its ability to attract and retain international workers, the committee recommended that the government negotiates deals with other countries under which international workers with a job offer in the advertising industry will have the right to work in the UK. It also recommended the introduction of a creative industries' freelance visa. "UK advertising, like our fellow industries, awaits the results of the Brexit negotiations as much rides on this in terms of our future success. As such, we appreciate the recognition of the huge value overseas talent brings to British advertising and the report’s recommendation that the country retain access to the world’s brightest and best talent after we leave the EU," Wooford said. If the industry is serious about increasing diversity, it should "discontinue informal working and recruitment practices, such as unpaid internships, which present a barrier to groups from lower socioeconomic groups", the committee recommended as a month’s unpaid internship in London costs a minimum of £1,019 excluding travel expenses, The Sutton Trust estimated. "The Government should clarify the law on unpaid internships. This will allow the advertising industry to access a larger talent pool which better reflects the advertisers’ audiences," the report said. Bainsfair told the Committee that the industry had realised that unpaid work placements are "just not acceptable and people are being much more responsible now about making sure that these placements, as they are called, do get paid for their efforts".